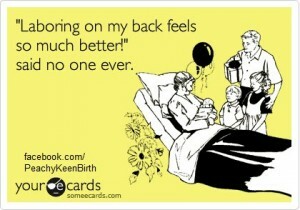 I’m not positive that the intense stabbing crushing pain in my lower back are labor pains, but I have a hunch they are. Even with my pregnancy pillow there is no level of comfort through this! My 2 orange kitties are so sweet and are acting as my personal bodyguards/heaters! I’m calling the on-call doctors line of this keeps up! This entry was posted in Active Labor, Birth Experience, contractions, Pregnancy Journal, Third Trimester. Bookmark the permalink.